If only carmakers were as serious about emissions as they are about passenger deaths. Volkswagen’s deepening crisis over fudged diesel exhaust fumes data shows it is time that kind of thinking became the norm. While the German carmaker may be the only one using illegal emission-masking devices, a cavalier approach to fuel economy and emissions is widespread, and a liability for investors. The auto industry so far is focusing on the letter rather than the spirit of emission laws. Carmakers have lobbied against more stringent test rules and exploited weak testing protocols. European Union countries on Oct. 28 softened a proposal from the European Commission to test diesel emissions on the road as well as in the laboratory. There are currently 28 legal ways carmakers use to whitewash laboratory emissions results, according to one study – among them optimising the aerodynamics by removing a wing mirror and using tyres hardened in an oven. As a consequence, much progress on reducing emissions is fictional. In the laboratory, a new vehicle today emits 23 percent less carbon dioxide than in 2007. But in real life, emissions are 40 percent above the test results. In 2001, before rules tightened, the gap was just 8 percent. This is bad for fighting climate change. It also hurts drivers, who on average pay 450 euros more for fuel. Myopically, using legal loopholes makes sense. Volkswagen says that each gram of lower carbon output costs it 100 million euros. But the cavalier attitude is risky in the long run, as it undermines customers’ and policymakers’ trust. This creates the risk of regulatory backlashes. Paris is mulling banning diesel cars by 2020. Oslo wants to get rid of all private vehicles a year earlier. Responsible auto executives would make sure their vehicles are truly clean. French carmaker Peugeot is the first one moving in this direction. On Oct. 26, it committed to publish realistic fuel economy data, with the process overseen by an independent body. Peugeot’s idea suggests a change in values that is overdue. No carmaker would even consider using an airbag or a seatbelt that passed the regulatory hurdles but was known to be unreliable in everyday use. Companies ought to treat emissions no less seriously. Shareholders will thank them in the long-term. 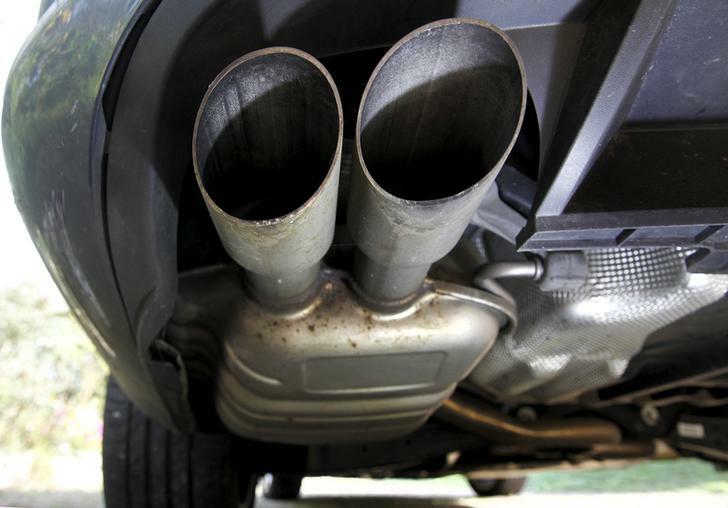 The exhaust system of a Volkswagen Passat TDI diesel car is seen in Esquibien, France, September 23, 2015. European countries on Oct. 28 reached a compromise deal on new testing rules for cars that allows vehicles to carry on emitting more than twice agreed pollution limits for now. The agreement diluted a proposal from the European Commission, the EU executive, after many of the 28 member states demanded leeway to protect the car industry. Volkswagen in early September admitted to U.S. regulators that it had fitted certain diesel engines with defeat devices that manipulate the car’s emissions data during test procedures. On Nov. 2, the U.S. Environmental Protection Authority (EPA) accused VW of using defeat devices in more models than it had previously admitted but Volkswagen refuted that claim. French carmaker PSA Peugeot Citroën on Oct. 26 said it wants to publish real-world fuel economy figures for its vehicles as soon as possible, with the process overseen by an independent body. It also promised to adopt a more stringent test cycle for emissions that gives less leeway for “optimisations”.